you pull off the sporty luxe look so well!!!! LOVE YOUR COAT !! GREAT LOOK!! Love this outfit and your hairdo! this coat got perfect shape! Love your pictures, they are always very nice! love the sunnies,bag & shoes! 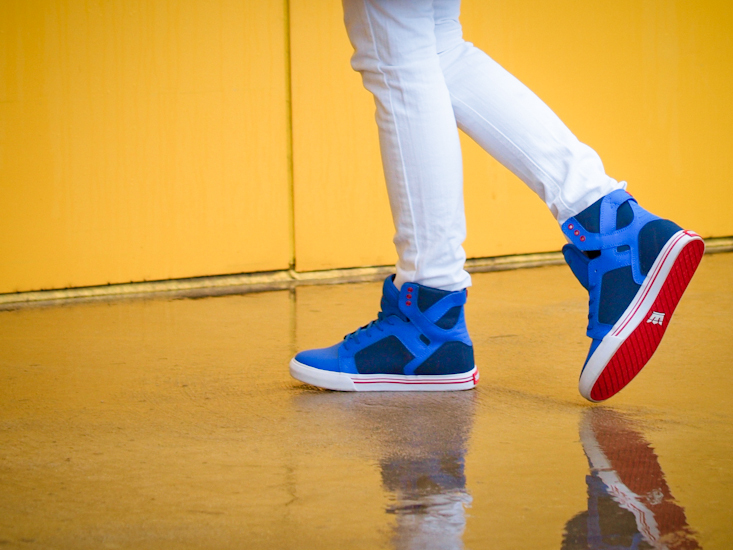 such a cool pop of colour! i don’t like this color, but after your post decided to try) great look! you wear sneakers better than anyone ive seen! love this look! Great in blue!!!! 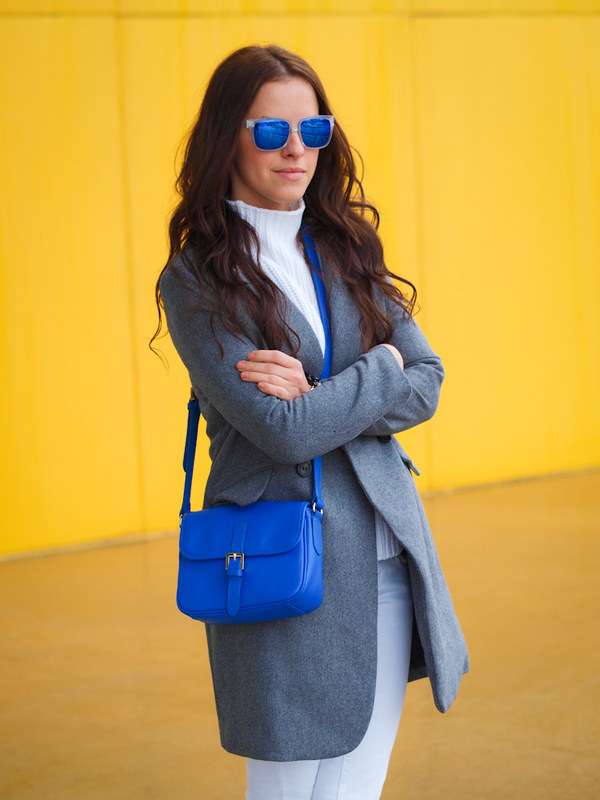 Love the bag and I am thinking of chosing also the same eyeglasses…still choosing! you look so cute!!!! love your outfit! 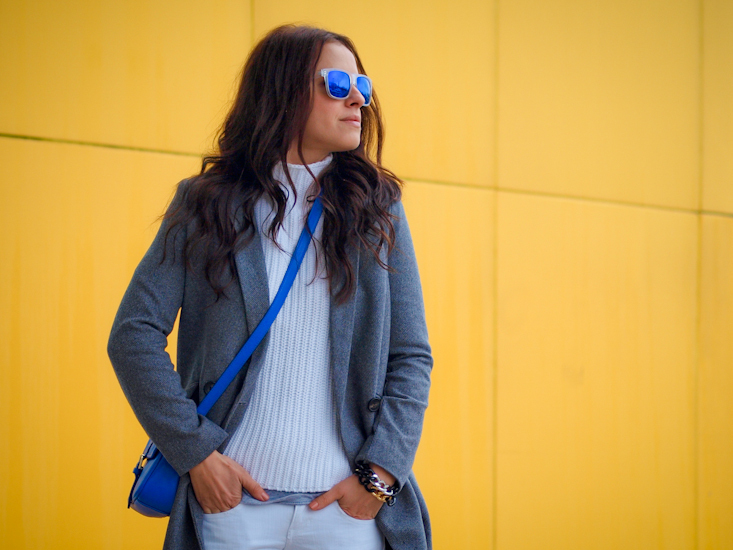 Awesome look, I always love cobalt blue. Fantastyczne zdjęcia i stylizacja! Mega! Pozdrawiam, kA. Lovely outfit! 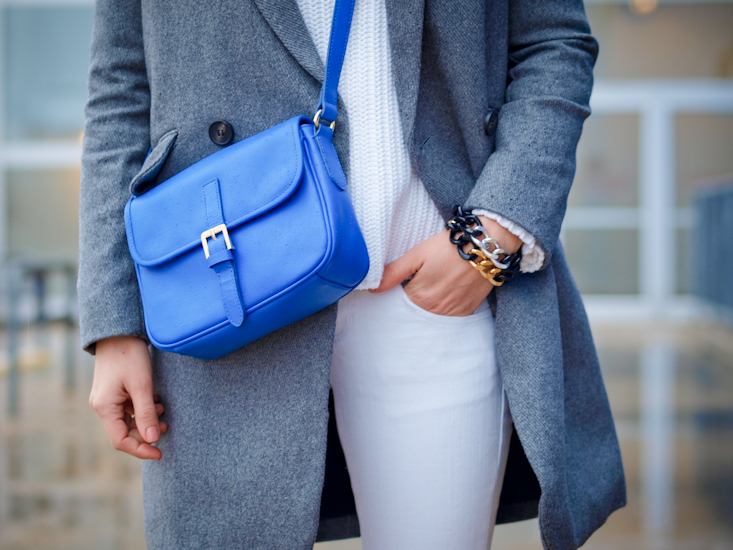 Very beautiful blue accessories. Fun look! 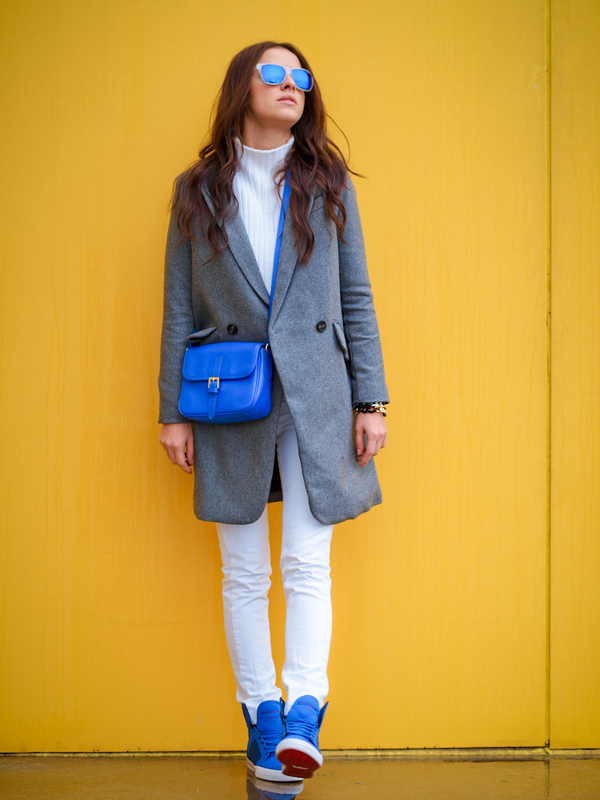 Loving your coat and pops of cobalt blue! I love this color. The shades goes so well with the blazer and shoes. :) By the way I’m your newest follower at bloglovin, GFC and Lookbook. Hope you could follow me too. Fabulous outfit! Honestly this is very easy to love because everything looks perfect!